The Australian business population is ageing with a major succession issue quickly approaching yet very few baby boomer business owners are positioned for exit. Twenty two per cent of business owners are aged 60 and over, which means hundreds of thousands of businesses are going to be sold or shut down in the next three to five years. For many, succession will prove difficult. Business owners who understand how to ready their business for sale may achieve a strong sale price, but those who do little to prepare can expect an average sale price of a 1.5 multiple of their profits, most probably through a careless business broker. Here we outline some of the factors that will turn buyers away. This is the most common risk factor for small businesses when it comes to exiting a model that is too reliant on the owner. A good management team has proven to be the number one reason investors will purchase a particular business. Your succession from the business starts with you firing yourself. The average private business in Australia sells at a 1.5 multiple of its profit (EBIT Earnings Before Interest and Tax). However the average business does little to prepare for sale. Typically a strong private business that is well systemised and delivers consistent returns will sell for anywhere between three to five times its profit. The key in driving the valuation is to build 'asset value' within the company. The management team, key contracts with staff and suppliers and recurring revenue channels all contribute to building asset value within the business. The other key determinant is the 'strategic value' of the business. To identify the strategic value in your business, ask "who can make more money from this business than I can?" company who can utilise your client list to a greater extent than what you can, it may be a company that could take your products and introduce them to their larger client base, or it could be a company that can leverage your IP on a larger scale. If you can identify strong strategic value within your business, this will drive the valuation you achieve beyond the traditional three to five multiple. A seller who is speaking with just one potential buyer is in a weak negotiating position. Sophisticated sellers will engage in discussions with three of four potential buyers and ensure each of them know about each other. Multiple buyers create competitive tension and put the seller in a stronger negotiating position. If you have identified some strategic value in your business that potential buyers can exploit, this tension will drive the price significantly higher. With any corporate transaction such as the sale of a business, ensure you engage strategic advisers who understand how to build value, as well as your accountant, lawyer and financial adviser. This succession issue also throws up opportunities for entrepreneurs who understand how to raise capital from investors and purchase businesses. 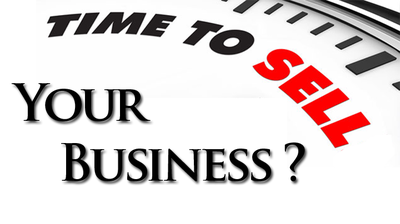 Please call us now for advice on how best to prepare you and your business for sale!